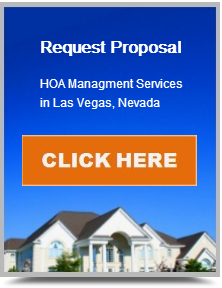 Nevada Revised Statute 116 and Nevada Administrative Code 116 at the two sections of Nevada Law that regulate homeowner associations or “Common Interest Communities”. Every two years (always in the odd years), the laws are amended. Sometimes those amendments are in favor of community managers, other times the laws are amended to be more in favor of a unit owner. We have compiled a list of the most recent changes to NRS and NAC 116 that owners, board members and community managers should be aware. It is highly recommended that you consult with your association’s legal department for further clarification and/or exact verbiage of the laws and what these changes mean for you as an association. Senate Bill 280 makes changes to NRS 116.4109, which regulates the documents required to be provided in a resale package. The changes added to this section allow for a unit owner or agent of a unit owner, such as a real estate agent, to request a “statement of demand” from the association. This amended section of the law now requires that the statement of demand be provided to the requestor within 10 days of the request and the statement must show the total monthly assessment amount and show the total balance owed on the owners account. The changes also make this statement of demand effective for 15 business days from the date of delivery to the requestor and forces the association to honor the amounts listed on the statement and must deliver an amended statement if discrepancies are found. This section also allows the association to charge as much as $150.00 for the preparation of the document, as well as an additional 100.00 for a rush request (provided within 3 business days upon request) and is in addition to the fee that is associated with the resale package (up to 160.00 for the package, additional 125.00 to expedite within 3 business days), both of which are needed in order to complete the re-sale of a home. This law went into effect on October 1, 2013. AB 44 is a new section of NRS 116 and limits how the association can regulate where an owner stores their trash and recycling containers. What this means for the association is that you can no longer force an owner to store a trash or recycling container in any building or garage. You must now allow an owner reasonable accommodations for storing the containers outside but may be limited to the side or rear of the unit or may require that the containers be screened from view from the street, sidewalk or neighboring properties with approved screening material and the association may also regulate how long the container can be in view for scheduled pick-up. It is recommended that the boar adopt a design guideline or regulation that outlines these restrictions and what is acceptable for screening. SB 130 makes changes to NRS 116.31031, which regulates the requirements for sending out a notice of violation and hearing to an owner. The current law requires that the association send written notification of the alleged violation, the amount of the fine, and the date, time and location of the hearing and reasonable time to cure the violation. The additions to this law requires that the written notice include a photo of the alleged violation (when it is possible to get a photo – taking a photo of noise is quite impossible!) as well as the proposed action to cure the violation. It further clarifies that continuing violations do not require additional hearings or additional photos. These changes will become effective on January 1, 2014. At the December 2013 Commission meeting, further clarification and regulations were adopted as it relates to notification of a violation under NRS 116.31031 and NRS 116.31085. Some of the amendments include a time frame change to 10 days notification, which keeps “notice” consistent throughout most of NRS 116. There were a total of 7 changes made to the draft and final documents will be provided and approved at the next commission meeting in either February or March 2014. These changes will likely go into effect in either April or July 2014. SB 280 makes changes to NRS 116.31162, which pertains to the information required to be sent to a unit owner who is delinquent in assessments. This sections amends a couple of things but the most important change is that not less than 60 days after a unit owners assessment becomes past due, or “delinquent”, the association must send a schedule of fees that may be charged to that owner if the assessments are not paid (typically found as an attachment or exhibit to the associations collection policy) and the notice must allow the owner an option for a payment plan as well as the right to contest the past due assessments by way of hearing in front of the board of directors. This particular change may extend your collection efforts timeframe by 60 days. It is recommended that collection policies be amended to accommodate for these new requirements and that you consult either your current collection agency or the associations attorney to review these changes. AB 395 is a new section to NRS 116, and is commonly known as “The Bully Law”. This law prohibits a person from causing harm or serious emotional distress or a hostile working environment for another person. This law applies to any community manager, their employees and agents, board members, officers, employees or agents of an association, unit owners and their guests or tenants. Violations of this law are considered a misdemeanor and is not enforceable by an association.